A gathering of Rock n’ Roll and Blues legends attended a special charity concert in New Orleans on Saturday, May 30. 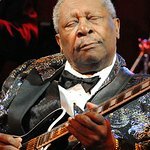 Some of the founders of Rock n’ Roll – including Chuck Berry, BB King and Little Richard – took to the stage, joining modern stars who owe them a debt of gratitude, such as Wyclef Jean and Keb Mo. 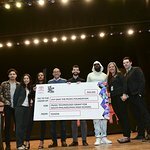 The Domino Effect Concert raised funds to rebuild schools and playgrounds damaged by Hurricane Katrina, and attracted a rare appearance from the man it was named after – Fats Domino. Domino’s home on the Lower Ninth Ward in the city was destroyed by Hurricane Katrina. Proceeds from the concert will go to Operation Kids, a non-profit organization dedicated to improving the lives of children. Recognizing the many dimensions to a healthy, happy child, they support a researched community of charities providing solutions to issues affecting children’s education, health, safety and well-being. The concert raised over $1.8 million to help rebuild the city’s parks, schools and other playspaces.